Dealing with diabetes in cats isn’t as scary as it seems. One writer who parents a diabetic cat has six simple tips for dealing with feline diabetes. 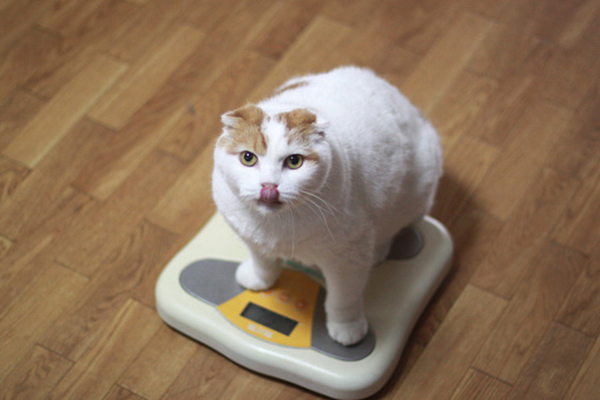 Ensuring that your cat is on the right diet is crucial to managing diabetes in cats. Photography ©sae1010 | Thinkstock. Diabetic cats shouldn’t eat dry food. Most vets recommend a high-protein, low-carbohydrate diet for diabetic cats, and no dry food is low in carbohydrates. Even grain-free dry foods contain a lot of substitute carbohydrates such as potatoes, peas or tapioca. Carbohydrates tend to make blood sugar levels fluctuate quite a bit. The shelter where I’m adopting my Bella has had cats that became diet-controlled and no longer needed insulin when they began eating low-carb food. There are low-carbohydrate foods available at every price point, so you don’t have to buy super-expensive food to feed your diabetic cat properly. Like diabetic humans, cats with feline diabetes need to have their blood glucose tested regularly. You can do this at home with a standard glucometer and testing strips that you can buy in a drugstore. Record your cat’s blood glucose level, along with the date and time, after each test. The small vein running around the edge of the ear is the easiest location to get a blood sample for the test. Your vet can tell you how often you should test your cat. You can find step-by-step home-testing instructions and videos online to see how it’s done. If your diabetic cat needs insulin, you will need to give it by injection. The good news is that cats have a lot of loose skin between and around their shoulders, and this is the ideal location for giving shots. Your vet will show you how to do this, and videos of this procedure are also available online if you need a refresher. Your cat will probably need more frequent examinations, particularly as her insulin dosage is being stabilized, and you’ll want to send records of your cat’s home-test blood glucose levels to your vet so they can become part of your kitty’s records. You’ll also need prescriptions from your vet to buy your cat’s insulin and syringes. Caring for a cat with feline diabetes means you’ll need supplies: syringes, test strips and batteries for your glucometer, insulin, and so on. Pet health insurance doesn’t cover pre-existing conditions, so if your cat is diabetic when you adopt her, you’ll need to be ready financially if she has a health crisis. 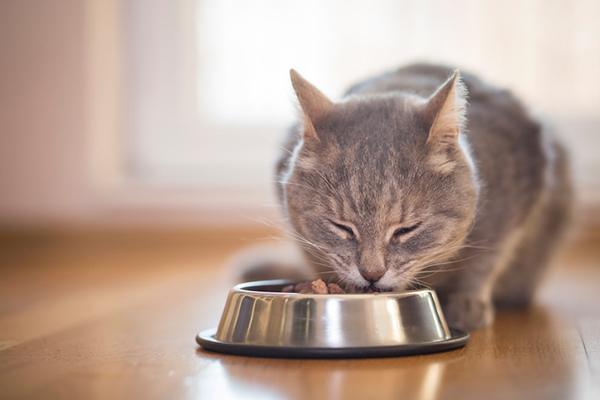 A diabetic cat needs to be fed regularly — even if you’re going away for just an overnight trip, you need to make arrangements for your cat to be fed and monitored. For most people, that means hiring a cat sitter. Make sure that sitter is comfortable with managing diabetes in cats and knows how to home test and administer insulin, too. The best known and highest rated support website fro diabetes in cats is FelineDiabetes.com. Dr. Lisa Pierson’s CatInfo.org has lots of information about nutrition, as well as a section dedicated to diabetes. Diabetic Cats in Need is a nonprofit that provides financial assistance for caretakers of diabetic cats. Diabetes in cats really isn’t scary. You need to be educated about feline diebetes, you need to have a vet you trust and with whom you can communicate well, and you need to be ready for the fact that your lifestyle will change when you bring one of these special cats into your home. Tell us: Do you have a diabetic cat? Are there resources and websites you’ve found particularly helpful when it comes to diabetes in cats? Let us know in the comments! Thumbnail: Photography ©vladans | Thinkstock. About JaneA Kelley: Punk-rock cat mom, science nerd, animal shelter volunteer, professional cat sitter, and all-around geek with a passion for bad puns, intelligent conversation, and role-play adventure games. She gratefully and gracefully accepts her status as chief cat slave for her family of feline bloggers, who have been writing their award-winning cat advice blog, Paws and Effect, since 2003. Cat Constipation: What Can You Do About It? Our 10 year old male domestic shorthair has been on Prozinc insulin and weight management dry food for 2-1/2 years. His glucose is now below 100. He runs, jumps, plays, and purrs. The problem is that he weighs 20 pounds. If we restrict his food intake he will dry heave and eat carpet and plastic. Should we restrict food intake or not restrict food intake? Oh, please don’t think you have to put your kitty down. I live in Minneapolis (I mean, it’s fine, but not the Athens of North America), my kitty got all these weird symptoms, and I found in one evening two local vets who charge based on your income. There is hope for you too! I am warehousing a former feral who was diagnosed as diabetic this week. He will turn 10 this spring. The vet said insulin was the only way to treat feline diabetes but Punkin’ Pie will not let me catch him, much less inject him. What is the course for untreated diabetes? He gets served Fancy Feast twice a day and free feeds on non-grain Petsmart kibble. How long will he last and what does the end stage look like? Thanks for reaching out! We suggest contacting the vet who suggested insulin for your cat with these questions. I had a diabetic cat. Sadly, the vet never mentioned daily testing to me and I didn’t know to ask. She lasted about 3 years,with the illness before I lost her. I wish I had been instructed to test her. But I have heard since that not all vets even see it as necessary. My cat’s glucose stays high even he us not eating much. I mean he was eating more wet food and was doing good. Suddenly, his glucose spiked up to 383. And we are working with our vet reducing foods, increased insulin from 1/2 unit twice a day to 2 units twice a day. Still high. Hw drink a lot of water and pees a lot too. I’m very much concerned. if you are concerned about your cat’s health, we suggest contacting your veterinarian for professional advice. I think my cat has diabetes. My vet needs a urine sample, but my cat goes out for her wee; any suggestions? Sorry to hear your cat might have diabetes. We suggest explaining this situation to your vet and seeing what he says. I believe the best tests are from blood. My Emerson has diabetes. His first glucose number was 471. The vet kept him for a week and “stabilized” him on dry food and sent him home for a week with feeding in the morning and 2 units of insulin. Recheck in a week. BS was 471!! He was on dry food and I asked the vet if the carbs in it were not good for him. She said the food he was on for weight loss and diabetes. But when I took him back his BS was 596! So they kept him for 4 days to try to get him stabilized. When I picked him up he is on wet food half a can in the morning at 8 am and then 2 units of insulin and the same in the evening at 5 pm. He is constantly hungry because he is a big boy (15 pounds) and what he is eating isn’t keeping him satisfied. He goes back on July 3 for more evaluation for the day. I hope he is regulated by then. I don’t think his diet is sufficient for him. I work at a cat sanctuary/adoption center, and we have a room in our clinic building dedicated to any diabetic kitties we get/have developed. There’s one old boy in particular I’m hoping to foster and bring home. He’s the sweetest thing and the extra management to his care doesnt phase me in the slightest. Thankfully my workplace has a program in place that will dramatically decrease the costs for properly caring for him, but he also has another problem. Namely, IBD. He’s on a special Royal Canin PR dry/wet diet and is also on insulin. Any additional tips for managing his care at home with his extra, special needs? Thank you for your thoughts and ideas. Our cat was diagnosed today with a blood glucose of 502. It will be Monday before he can get started on his insulin. After going over the price of everything needed to take care of this, I told my husband we may have to put him down . Our income is limited and we have two other cats. After reading some comments here, I feel more encouraged that there may be a way to save him. Rescued him four years ago. He is a true sweetheart . You can buy insulin from Canada that is much less expensive than in the U.S. You can find good pricing on the supplies too. Don’t put your cat down because he has diabetes. Thank you for sharing this information. Our cat just received a diabetes diagnosis today. I was really worried until I read your article. Now I feel that this is something we can deal with and isn’t a death sentence. We will be meeting with our vet next week but at least I can sleep at night until then. Glad we’re able to help! Best of luck and feel better to you and your kitty! This is great information to have. I have an overweight cat. He went from 22.5 lbs to 20 lbs over an 8 month period when eating Nutro weight management food. I switched him to prescription weight management food at twice the cost and he gained back all his weight. I feed him and the other 4 cats separately. I’m discouraged about his ability to lose weight and his diabetes risk is high. Should he develop diabetes, at least there are good resources out there. I do wonder if putting them all on a high protein wet food now would go a long way toward prevention, and I’ll be looking into this. Stay away from HILLS . Read the ingredients, lots of junk. The best food for a cat is can food. Specially diabetic cat. I have a diabetic cat who is addicted to dry food. Right now we are working on helping him learn to eat wet food. Fancy feast is not the best in the market but is a good start. Finally I found a flavor he likes. Good luck! Hi, I have a Redpoint Siemese and he is 18 years old. 3 years ago he was diabectic and I changed his food and the Diabetes went away. It is back again and will see the Vet in Vancouver BC tomorrow. Have seen 4 Vets in Vancouver and they all push that crap from the Vets. Food you can only buy from the Vets. Would like to find some good food from a pet store and not the Vets office. Any suggestions. Thanks Jeff B.
I’m sorry that you and your cat are going through this. I would definitely recommend that you go to http://www.felinediabetes.com/ and visit their message board–there are some great recommendations available on food and all sorts of other aspects of feline diabetes. There are plenty of low-carb, high-protein options at all price points that are good for diabetic cats, and the FDMB (Feline Diabetes Message Board) will have this information handy. Depends on the insulin. Lantus and Levemir have an 80% remission rate. Even on the other insulins your cat can live a long life. High protein low carb food (less than 9 carbs) is the first step. Do not feed that dry food from the vet office, it has corn and is very high carb. My cat started lantus insulin 1/2 a unit January 31st, and as of today (3/3/18) he has been off insulin for 16 days and his numbers have been below 100 in the normal cat range. There is a group on Facebook called sugarcats and they can help you. Anyone with a diabetic cat should join the FDMB right away. This site has all the information you need on feline diabetes. I have a 7 year old cat that has diabetes and I don’t make a lot of money. The medicine is $145.00 and the needles are $50.00. Where can I go to get financial help. He gets 2 shots a day 4.5 units. I love him so much and don’t want to get rid of him like everyone keeps telling me. Is there any help out there? Where do you live? Needles for my cat are $16 for 100. And insulin pen (from which I draw with the needle) is $80 from CVS. Then again, this CVS will split a package of pens. I’m in Florida. Can’t help with the price of insulin, it’s expensive everywhere. But for needles, Walmart has a lot of insulin supplies for cheap — their ReliOn Confirm meter and strips for sugar testing are fairly inexpensive, and you can buy 100 insulin syringes with needles for under $15 there. hi I know how u feel. my 8yr old baby was just diagnosed with diabetes and I know it can be a bit costly but I found that wal-mart has the best prices on diabetic supplies and u can ask ur vet for the cheapest insulin. I pay $25 for a months supply of insulin and try to apply for care credit but make sure ur vet takes the card and make payments every month. I am trying to self educate myself on it. wish u luck but ur baby is worth living the best life he can. good luck!